Calling all golfers! 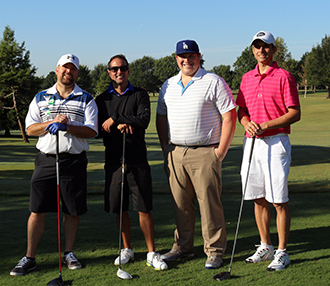 Swing into spring with the Greater OKC Chamber's new golf tournaments. Registration is now open! Enjoy a day on the greens, create new business connections and strengthen existing ones at one of the Greater OKC Chamber Spring Golf Tournaments. Choose April 1 at Gaillardia Country Club with a 10 a.m. tee time or April 29 at Twin Hills Golf & Country Club with a 9 a.m. tee time. $1,750 Hole & Team Sponsors receive increased recognition and the opportunity to meet, greet and network with golfers at their sponsored hole for both tournaments. Email register@okcchamber.com with questions or to register your team. Special thanks to Signature Sponsor INSURICA.